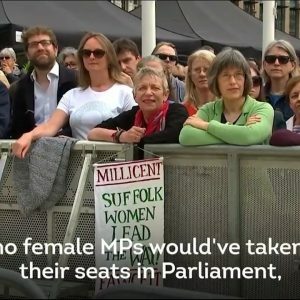 Millicent Fawcett: does Suffolk value its women today? Reminding Parliament Square that Millicent Fawcett was not only a woman – but a Suffolk woman! After an excellent campaign by feminist activist Caroline Criado Perez and active support from Sadiq Khan, we finally see the first statue of a woman in Parliament Square – one among eleven men, and a bare century after women first gained (limited) suffrage. And – one might say -about time too. It is a point that needs making! Aldeburgh sisters Millicent Garrett Fawcett, Dr Elizabeth Garrett Anderson, Agnes Garrett (who – baulked by the patriarchy – in her desire to become an architect founded the first interior design company run by women ) were all strong supporters and advocates of women’s suffrage. Suffolk, not London, is the birthplace of women’s suffrage. Which brings me to here and now. Birthplace of Womens suffrage it may be, but 150 years after Millicent started her first suffrage petition I’m one of 29% women councillors (22/75) elected to Suffolk County Council – significantly below the appalling 33% UK average. At the current rate of progress it’ll take 48 years for the UK to reach gender equality – and nearer 80 in Suffolk. 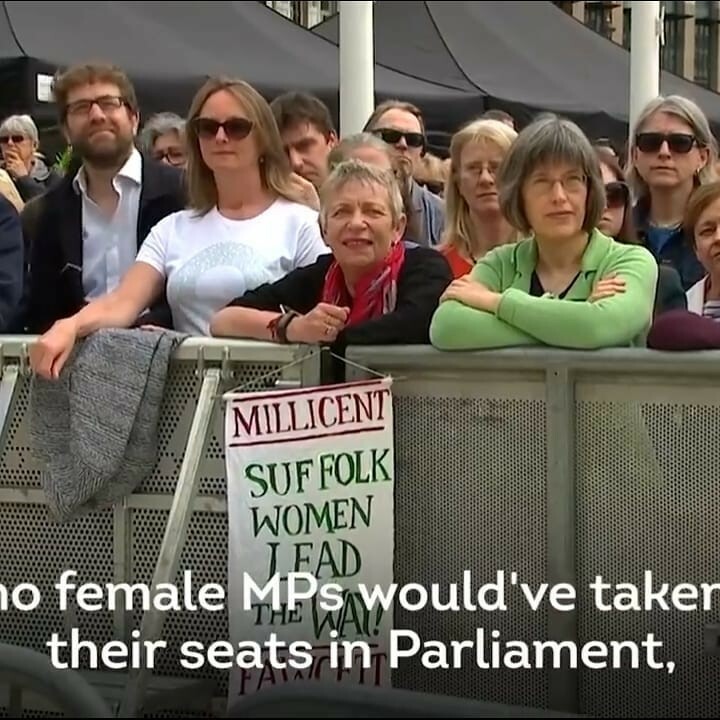 In Suffolk 2 out of 7 MPs are women, a pretty equivalent percentage to the county councillors. Suffolk may have been the birthplace of women’s suffrage, of women’s higher education, of women’s independence – but modern Suffolk has a high gender paygap, high levels of violence against women, specifically poor outcomes for girls (particularly in rural areas). Seems to me Suffolk is yet fully to engage in recognising the importance of its own women and what they have to offer. We could start by acknowledging the past. Ipswich recognised this last year with blue plaques, but when I asked a (nameless) past mayor why all the blue plaques in my own town of Woodbridge memorialise men, he replied ‘Perhaps its because women have never done anything.’ Armed with a copy of the Dictionary of National Biography I found five in less than half an hour. The famous women of Suffolk are hiding in plain sight and while the gender balance ofdecision makers continue to remain so heavily tipped towards men this is likely to be where they will remain. Now we have a statue of one Suffolk woman in Parliament square, we need to ensure that we have public statues and memorials to all the Suffolk women who have and do so much within Suffolk. We cannot expect young women to wait 100 years for their work to be acknowledged; we cannot expect young women in Suffolk to realise their work will be acknowledged, if it looks as if they will have to wait 100 years.